Those who love the wild and untamed oceans are bound to fall in love with the Ocean Magic online slots. Designed by IGT, it features colourful characters and overall excellent graphical quality. And what else does it offer to slake your thirst for adventure and excitement? Read on and find out! 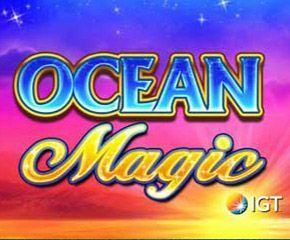 Ocean Magic slots boast 5 reels, as well as 4 rows and 50 paylines. The slot background is fittingly the murky ocean depths, with some greenery to be seen. At the bottom of the screen are positioned player options for setting the minimum and maximum bet amounts, fine-tuning the audio effects, setting the speed and lots more to make for better gameplay experiences. The symbols include chests of treasure, varied fishes, whales, jellyfishes, turtles, seahorses and different forms of starfish. Each of the above is carefully designed. This immensely contributes to the overall charm and might even give you some needed anatomical lessons! As well, during certain moments adorable bubble animations pop up on the screen. This is rather sinfully-fetching. The featured bonuses include a wild and scatter icon. The wild acts to replace all other symbols, save for the scatter during winning combinations. The scatter on its part is represented by a treasure chest. When players land 3 scatters, they get gifted 5 free games. 4 and 5 scatters that are landed, on the other hand, translate to 10 and 20 free games respectively. Also, during gameplay bubbles can float up from the screen bottom. Should they land they will turn into wild symbols. When the player gets a wild and a scatter combination, a free bonus game is gifted. During this bonus game, the slot is concealed, and multiple bubbles airily float on the screen. A total of eight of these bubbles must then be selected by the player. The right selection is rewarded with different prizes. The bonus game is in an easy-to-play and easy-to-win format and very profitable, depending on how it’s handled. 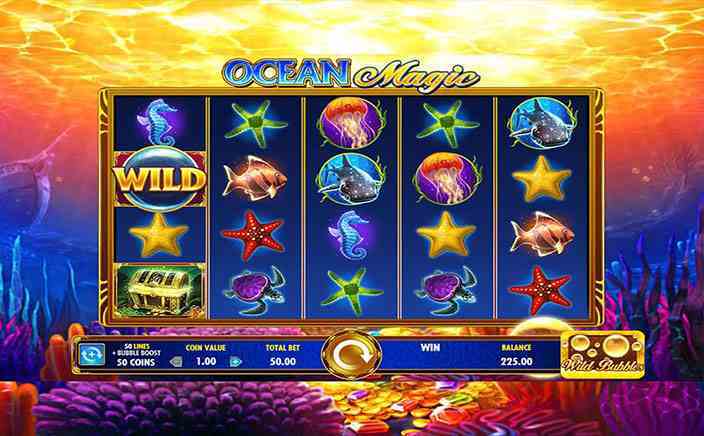 Ocean Magic online slots impress with its beautiful graphics and varied symbols. It’s also entertaining and packed with different bonuses. Overall, it does look like a winner and is certain to worm its way into the heart with little effort. Looking for some ocean magic? Well, you just might have found it!